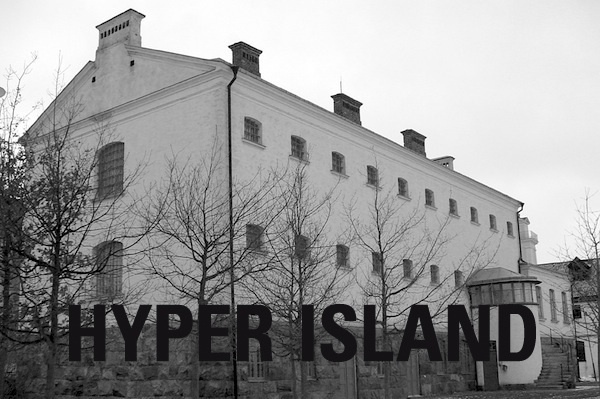 It was just about time to write about Hyper Island. I am following activities and projects of Hyper Island for a while now. Hyper Island is more than a school. It is a network, an attitude, a life style. I will not write about their history, just a brief introduction: a few guys sat together, came up with an idea and realized it. The result is a school, originally based in a former Swedish royal marine prison in Karlskrona, where you can study different subjects dealing with digital media. Now there are several other locations around the world, where they offer Master Classes, for example in Stockholm, London, Manchester and New York. 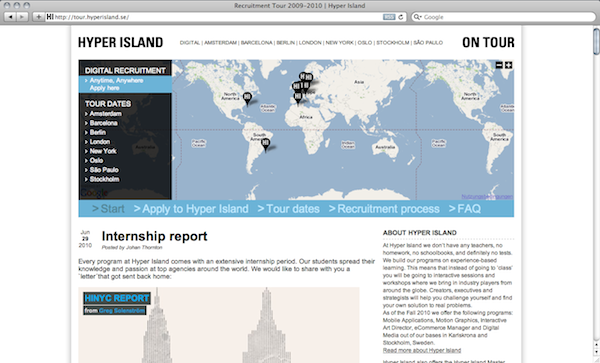 But like I mentioned above, Hyper Island is more than just a school. I will show a few examples, but I can’t mention all of it. Of course this little animated introduction to Hyper Island was made by a former student. Make the learners responsible for their own learning. Learn in groups. Provide resources, support, encouragement and “scaffolding” for learners. Develop critical skills by promoting criticism and review of each other’s work. Explore quality, ethical, business and social values through discussion of the impact of projects on individuals, communities and industries. Twitter, Facebook, or Blog, they use it all. And in a perfect way. Their communication is brilliant. What I really love is that they present the students’ works everywhere (like here). And they even let the students represent the school everywhere. They are touring through the world to recrute new students. One of the most impressive things is Cloudania. 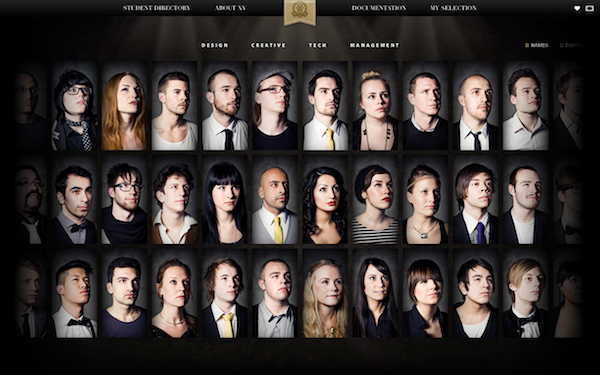 The graduates of the Interactive Art Direction of Hyper Island 2010 created their own nation in order to stay in contact and to still be together after their graduation. I could write a lot about Cloudania and explain what I love about it. But I think if you take a look at their website with all the lovely details you get the point. The best way is to take a look at Hyper Island and Cloudania yourself, get lost into their brilliant creative and inspirational world. (By the way, did you get the point: They called a school Hyper Island and the network to stay in contact afterwards Cloudania – a fictive nation; I just love it!) I would apply for a visa if I could, and I will definitively visit the school one day.